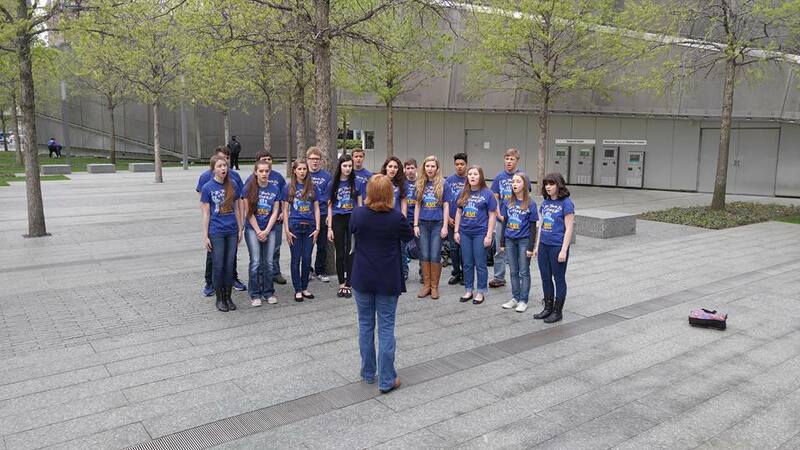 West Albany High School Rhythmix traveled to New York in April. 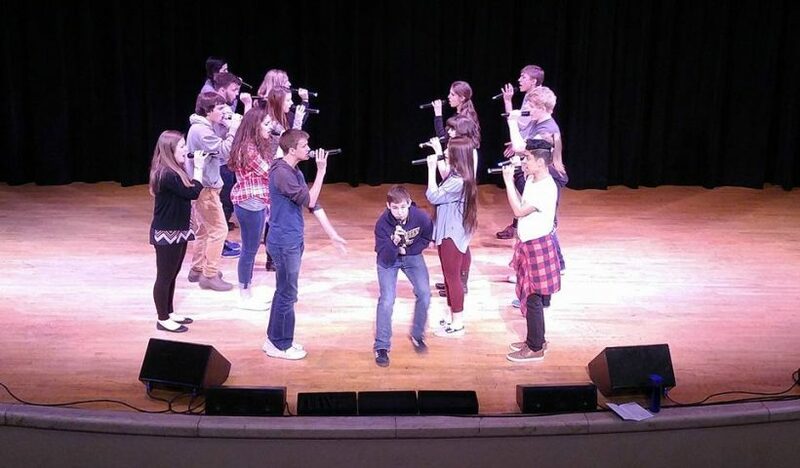 The group took top honors in January at the Northwest Semifinal International Championship of High School A Capella (ICHSA) competition, beating out high school groups from Oregon and California. At the finals in New York, they did not place but, according to Director Cate Caffarella, the experience was memorable and enjoyable. “We sang at the 9/11 memorial, saw Tuck Everlasting on Broadway, visited Times Square, St. Patrick’s Cathedral, rode the subway, went to central park, saw the Statue of Liberty and much more,” she said. How many groups were they up against? Is this a new group for WAHS? 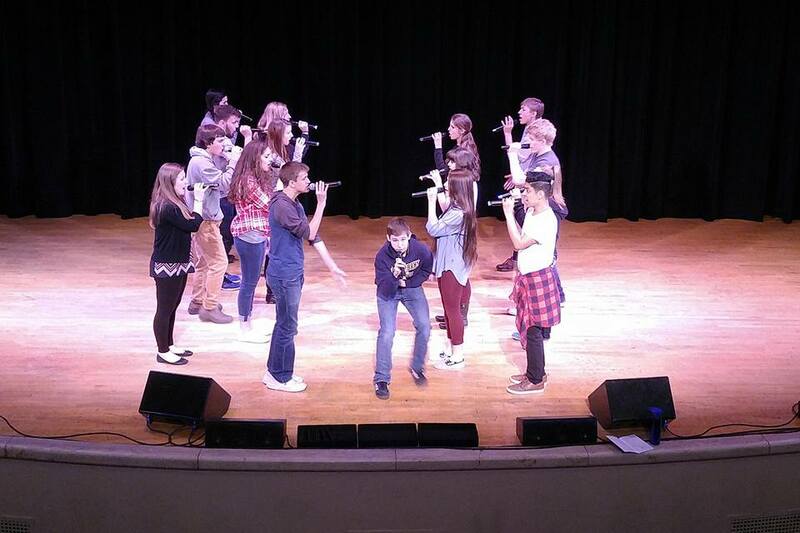 This group was originally called “Jazzation,” but as the interest in contemporary a cappella has grown, the name was changed to Rhythmix. The group does all different genres of music but is best know for it’s contemporary a cappella. This group performs all over the mid-valley. We love to show the community what students are learning and doing in the classroom. ICHSA was a way to challenge ourselves to improve and gives the students an opportunity to interact with other students who have similar interests. One of the highlights of the festival is not just competing but singing with other groups. Which songs do they sing? Our set is Roots by imagine Dragons and Ain’t No Rest for the Wicked by Cage the Elephant, Darkside by Kelli Clarkson, and This is Gospel by Panic! at the Disco. What are the competition scores based on? Our scores are based on musicianship skills (i.e., blend, balance, intonation, rhythmic accuracy, tone quality, dynamics, diction, etc.) and visual performance (i.e., Choreography, Use of stage, Energy, etc. ).